← How Well Is Prince William Recognized in Beijing, China? 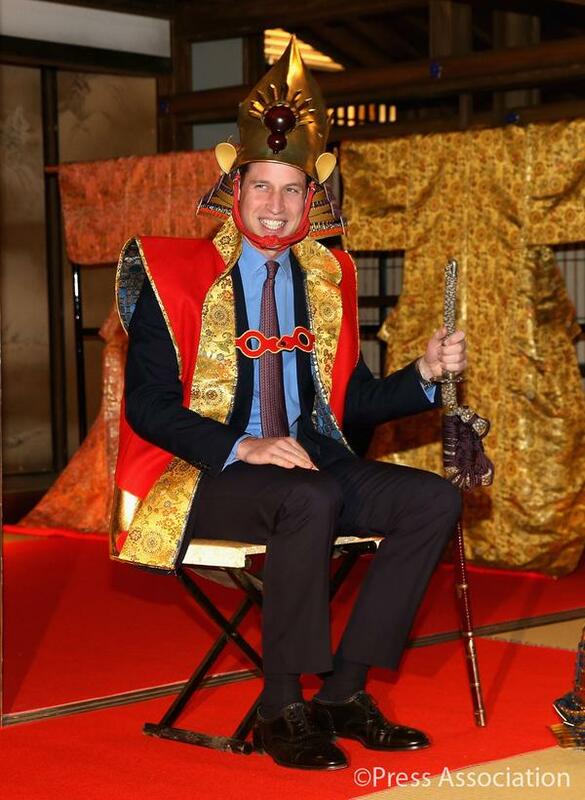 The Duke of Cambridge was transformed into a samurai warlord when he visited the set of a long-running Japanese drama on his third day in Japan. 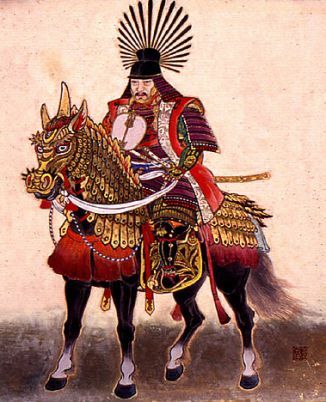 Wearing a glittering helmet, regal red and gold tunic and carrying a replica samurai sword His Royal Highness was transformed into Toyotomi Hideyoshi, the Japanese warlord who unified his country in the 16th century, during a tour of NHK studios where the Sunday night historical drama Taiga is filmed. 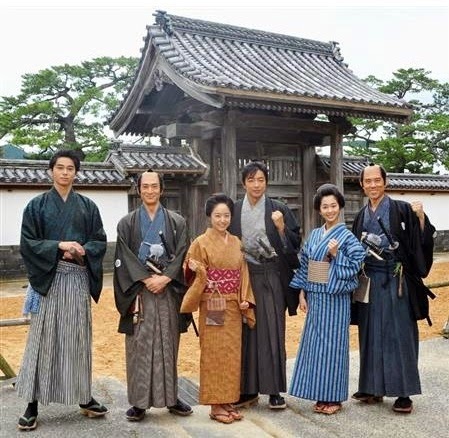 Now in its 54th series, it features famous characters from Japanese history but changes the period for the action every year with the current series called Hana Moyu or Ardent Flower. 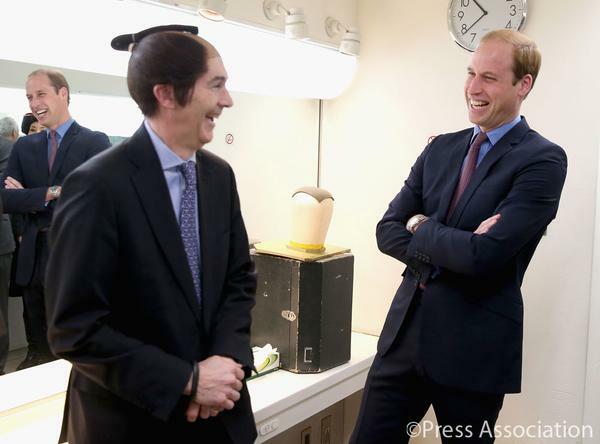 In the hair and make-up department The Duke of Cambridge dissolved into a fit of giggles when Tim Hitchens, Britain’s ambassador to Japan, put on a samurai wig. William contemplates wearing the wig which throws him into fit of giggles! 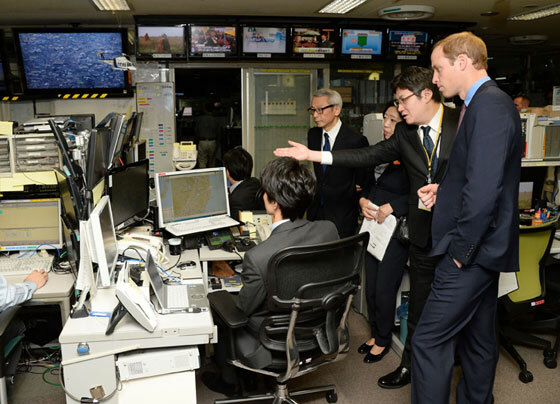 Later the mood was more serious in NHK’s newsroom, where The Duke watched a three-minute film showing how the station covered the devastating 2011 earthquake and tsunami which triggered the meltdown at the Fukushima Daiichi nuclear plant. Prince William watches a video on devastating 2011 earthquake and tsunami. He was visibly moved as he watched footage of homes, roads and cars being swept inland and fields being destroyed by the 10-metre high tidal wave. The harrowing images were filmed by one of NHK’s 15 helicopters, which took off immediately after the earthquake and was guided by staff in the newsroom. NHK, Japan’s Public Broadcaster, was set up in the wake of the Great Kanto Earthquake in 1923, when it was realised accurate and prompt information protects lives. The Duke of Cambridge was also shown how NHK is alerted whenever the country experiences anything over a magnitude three tremor. Newsreaders interrupt all of the station’s TV and radio programmes to give an emergency tsunami warning after a quake of magnitude five or more. As he left the building, The Duke of Cambridge met NHK’s mascot Domo-Kun and he laughed as it bowed to him and offered his hand to shake. 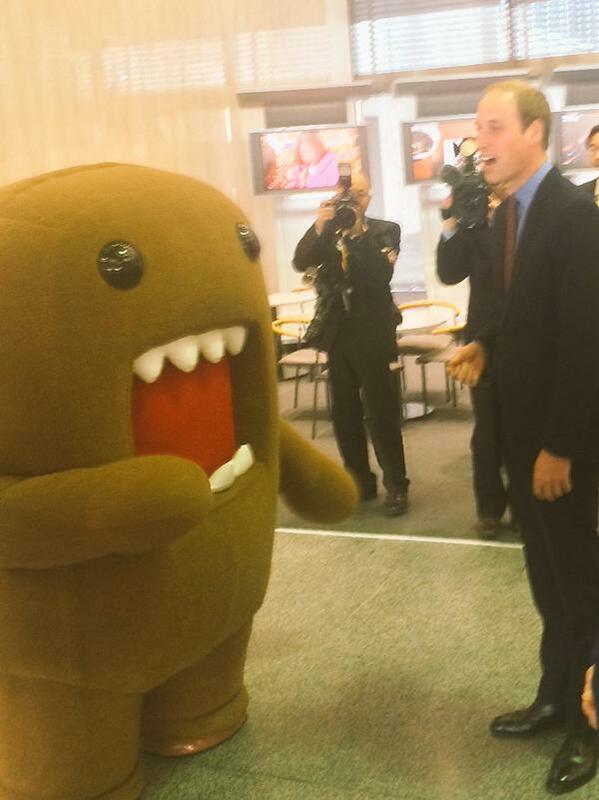 NHK’s mascot Domo-Kun meets Prince William who takes home a mini-version of the adorable stuff toy. And now it’s on to China for The Duke of Cambridge!! Lady Anglophile…ready to climb the Great Wall with The Prince! This entry was posted in Rule Britannia! and tagged Duke of Cambridge, Japan, Prince William, Royal Visit Japan. Bookmark the permalink.